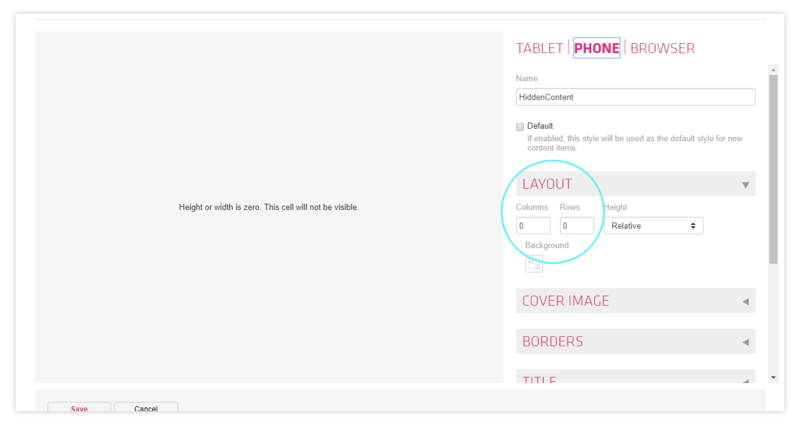 Within Twixl, create a new Cell Style named for example, 'HiddenContent'. Change the structure of the cell style so it has 0 columns, and 0 rows, across Mobile, Tablet, and Desktop, then Save. 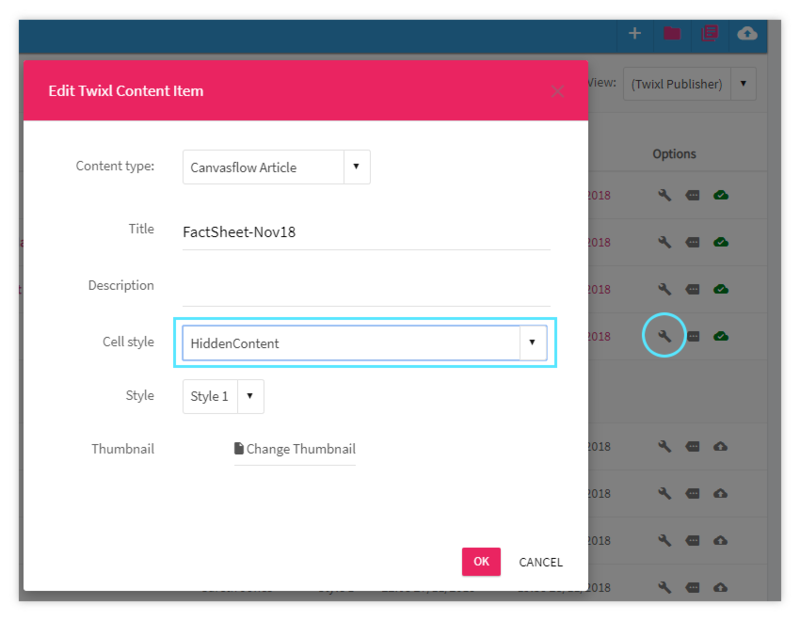 From Canvasflow, add the content you wish to be hidden, or edit existing content, and apply the 'HiddenContent' cell style from the Edit menu. 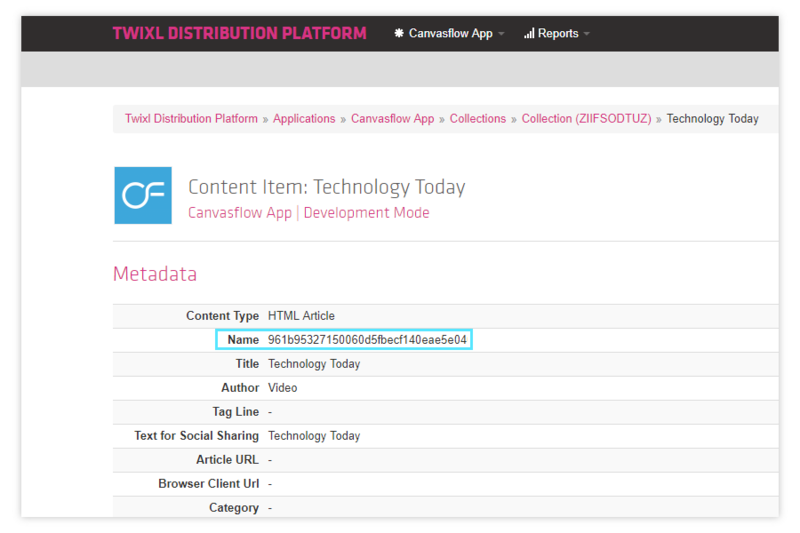 We recommend creating a 'HiddenCollection' Twixl Collection purely to store content that will only be accessible via links, this helps keep your publication organised. This collection should also use the 'HiddenContent' cell style. 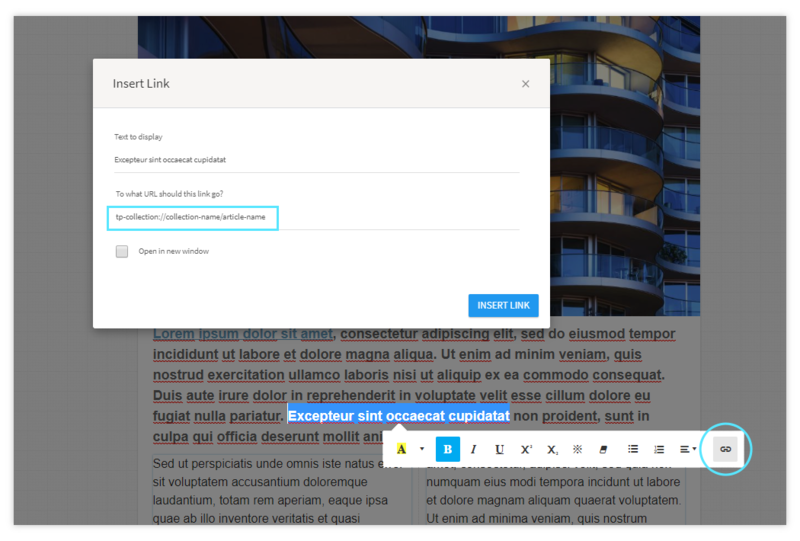 Any published content using the 'HiddenContent' cell style will now publish to Twixl just like any other content, but will not be visible on the front end. Although not recommended, if you would like to place hidden content into the same collection as the article you're linking from, you can use 'tp-pagelink://articlename' instead, and bypass the use of a Hidden Collection.